Five years have gone by so quickly! Whether you're a long-time player or have joined us just recently, we would like to thank you for being a part of our wonderful community! We have been busy working on some great updates this year, and we're so happy to announce that our Anniversary Event will include the first phase of a new system we're very excited about! Nurse Bliss will also serve as the rewards vendor for this Event. After you've taken her quest, be sure to check out the great items she has to offer! 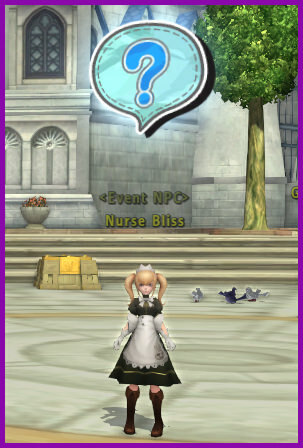 Speaking with Nurse Bliss will lead you to a small enclave to the north of her where Professor Yggdrasil awaits you. Professor Yggdrasil is anxious to explain the fantastic new advancement that the Kafra Service has prepared for you! As you complete his quests, you will gain an understanding of the new system that is being introduced and earn some fantastic rewards along the way. 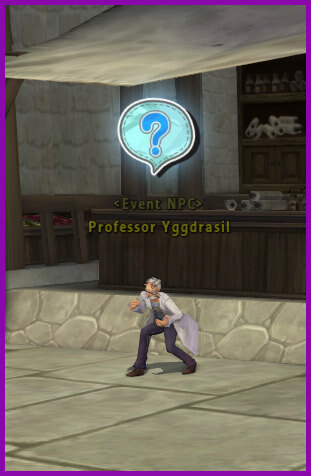 Professor Yggdrasil will introduce you to his granddaughter Rose for the final portion of the Event quest chain. Complete Rose's quests to unlock your daily quests. Rose is accompanied by some friends. Inspect them closely to learn the unique bonuses that each pet offers! Help Rose win back her dear pet, Peekaboo, by defeating Jazzy and Jane from Team Blockit. You can find Team Blockit in the Northeast corner of the South Plains. Successful completion of most Quests, and all Daily Quests, will grant you a set amount of Shiny 5th Anniversary Token. These tokens are not tradeable, and can be redeemed through Nurse Bliss. Tradeable packs of Shiny 5th Anniversary Token are available in some Kafra Shop packages. These tokens can be used to purchase the new Event Titles as well as the two costumes that have been made available for this event. A Pajama costume with attached hood, and the Spring Poring Dress. Each of these costumes, as well as the Poring Hat, can be traded up for versions with more slots, or even purple slots, through Nurse Bliss. Enjoy collecting Shiny 5th Anniversary Tokens, fighting Team Blockit, and growing your new Cute Pet! Learn more about the first phase of the Cute Pet System that has been introduced with the 5th Anniversary Event.